SOME perceptive social commentators compare population ageing with climate change as a key challenge in the 21st century. But in the community at large it gets much less than its fair share of attention. But, like climate change, population ageing is unprecedented, enduring, profound and pervasive. It will change the shape of the society in which we live. Since the industrial revolution, the world’s population has been growing at an unprecedented pace. Successive and ever larger cohorts have kept the age structure of the population young. This young population has proven to be highly innovative, dynamic, energetic and, until now, growing. The next 50 years will see this growth reverse, not just in Australia but across the globe. And that will mean slower economic growth. Data from the Australian Bureau of Statistics shows that at Federation, in 1901, 4 per cent of Australians were aged 65 and older; this year it stands at 14 per cent. In Australia, within 10 years, there will be more older people than children, and by 2050 people aged 65 and older will make up 22 per cent of the population. The number aged 85 and older will more than quadruple. This phenomenon is due to longer lives and declining fertility. The more significant effect is declining birthrates. During the past 50 years, fertility in Australia has dropped from a peak of 3.5 children per woman to 1.9 children per woman, on average. Some countries have seen even more dramatic declines. In Japan, fertility declined from a post-war high of 4.5 to 1.3 and in China from 6.1 to 1.5. In Japan, not only is the workforce population declining but the overall population has stopped growing. Germany is on the cusp of a similar decline. Even China’s population, which has an age structure that is still younger than that seen in advanced economies, is expected to peak within the next two decades. Although Piggott does not deal with the dangers of rapid, unchecked population growth, the reality is that demographic change, although slow, seems inexorable. And in Australia it is imminent: the first of the baby boomers have started turning 65. Much public policy discussion on our ageing population has necessarily centred on issues such as aged care. The Productivity Commission estimates that the more than a million Australians now accessing aged-care services are expected to number 3.5 million by 2050, necessitating immediate attention by our governments. We need to be fully aware of the looming fiscal pressure this will bring about. An older population will mean that government spending will rise because of age-related programs: the pension, health, disability payments and aged care. The ageing of our population is projected to absorb another 5 per cent of gross domestic product by 2050. Spending on aged care alone is expected to more than double, from 0.8 per cent of GDP in 2010 to 1.8 per cent of GDP by 2050. The federal government has several levers at its disposal to relieve fiscal pressure and alter the balance between public and private age-related spending. Our budgets are not predicted to spiral out of control because previous governments have put some of these measures in place, such as extending working lives and, in the case of the federal Labor governments of Bob Hawke and Paul Keating, setting up compulsory superannuation. This is despite the Gillard government making it more difficult for the rich and the old to contribute to super without paying more tax. But what few politicians and policymakers seem to be considering is the impact that our changed demographics will have on the fabric of Australian society. From our families to our workplaces, to our streets, cities, shopping centres and schools, virtually no aspect of daily life will be untouched by the cultural shift brought about by a population dominated by older people. There is also an important regional component. In communities where young people have left for the large cities and where active older people live, these demographic shifts could be very difficult to manage. As the rural population ages and becomes frail during the next 20 to 30 years, there could be few young people left in their country town or rural region to support them. Everyday life in cities will change as the people walking our streets become older. They will look different and feel different as handrails become more prevalent, and buses and trains take longer to load. According to data from the UN and the ABS, by 2050 the average age of Australians will be 42. In 1901 it was 22. With so much informal care provided within the family unit, spreading that load among one or two children in the future is quite different from sharing the load among three of four, as often happens now. These same one or two children will be relied on to work as well as needing to provide care for family members. Where they may now leave work to pick up their children, they soon may be leaving work to pick up their parents. Or they may be living in another country. Population ageing is a phenomenon that will certainly come to pass. The question for policymakers and society in general is: How can we prepare effectively for such a fundamental change? 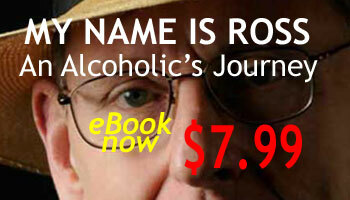 Emeritus professor of history and politics Ross Fitzgerald is the author of 35 books, including ‘My Name is Ross: An Alcoholic’s Journey’, available as an e-book. The Weekend Australian, February 16 -17, 2013, Inquirer p 19. Australiaâ€™s ageing population has been of concern for some years now. Professor Ross Fitzgerald (Inquirer Feb 16-17) is right to bring it to the forefront yet again, because just talking about it not sufficient. We need to actually implement plans to cope with it now, not next year or next decade. It will be too late then. I was interested to see the mention of Japan, the plight of whose ageing population has already made a tremendous change to Japanese culture. The Japanese have always felt secure in the knowledge that when they grow old, their family will look after them as has always been the case. Not so now. Many elderly Japanese have been abandoned by their families and are forced to sleep on the floor of communal bath houses at night, kicked out in the morning and left to wander the streets all day until it is time for them to return to the bath houses. I would like to think this couldnâ€™t happen here, but of course it could. This refers only to the social aspects of an ageing population. The financial aspects are perhaps even more important in the wider picture of Australiaâ€™s future. Ross Fitzgerald’s examination of the “age boom” as a defining element of demographic and social change in Australia (The Weekend Australian, Feb. 16-17) should assist our politicians in finally focusing fully on the matter. Perhaps, if they do, they might also grasp the fact that the age pension has but one qualifying factor: age. Beyond that, since they will of course be scratching around for ways to pare the budget, they might think laterally (for a change) and work out that Australians of pension age who choose to live overseas, or divide their time between Australia and elsewhere, are actually saving them money. They might then see that such people are not all Greek double-dippers and remember the ethical and moral principles – as well as budgetary benefits – of paying all otherwise eligible overseas resident pensioners the basic pension (less any penalties for the demerit of actually having other money or, Heaven forfend, assets). That way there’s a good chance Australia will avoid being flooded by returning aged citizens who, having lived happily outside Australia in a free and unregulated way, decide nonetheless to return in order to access the extensive and expensive “benefits” available to those prepared to sign over the running of their lives to the welfare bureaucracy and the public health system.